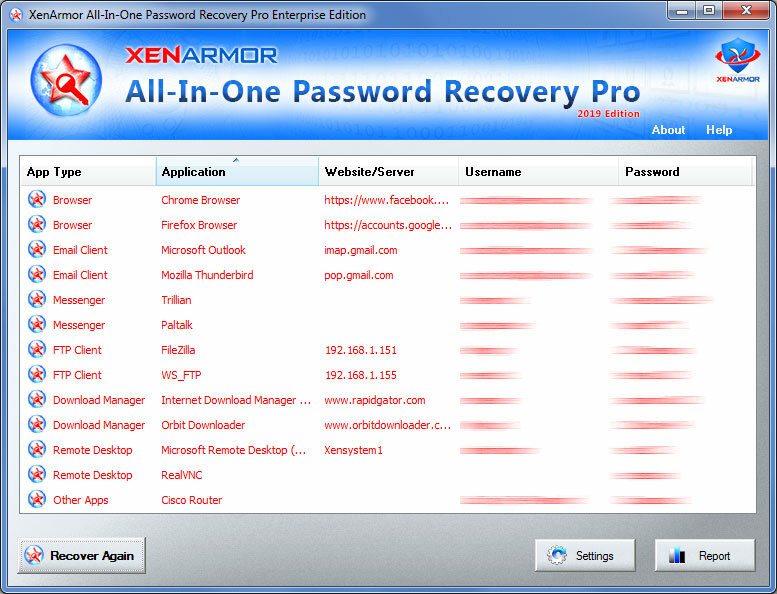 ll-In-One Password Recovery Pro is the enterprise software to instantly recover ALL your lost or forgotten passwords from 70+ popular Windows Apps. Long & short, it is the One software to recover ALL your passwords. It can recover all passwords including website, email, messenger, FTP, download manager, remote desktop, database, router etc from 70+ popular Windows apps.